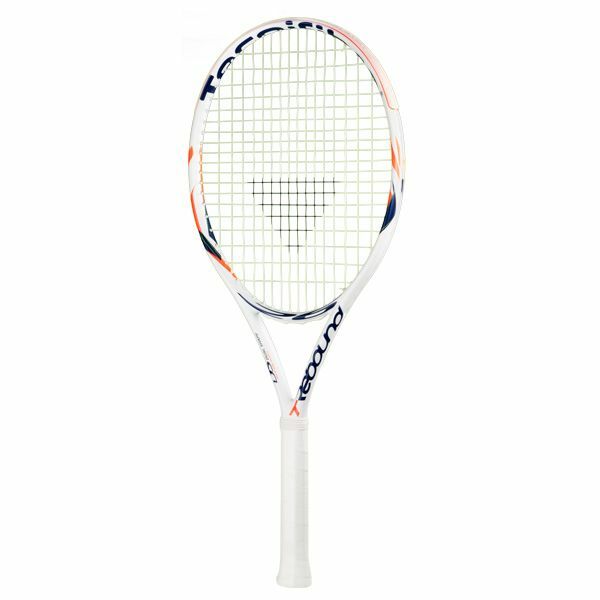 Arriving as a quality option for juniors aged from eight to ten, the Tecnifibre T-Rebound 26 junior tennis racquet features a good sized head of 102in2 (660cm2) to deliver better sweet spot, thus improving accuracy and control over shots. Moreover, it’s lightweight structure at 250g (8.8oz) and head light balance of the frame ensures pleasant manoeuvrability and smoother motion granting loads of fun when youngsters hit the court for another training. Also, the head is strung with Nylon Pearl 1.25mm string offering good touch and resilience in an open 16x19, and the racket is shipped with a ¾ length head protection cover. for submitting product review about Tecnifibre T-Rebound 26 Junior Tennis Racket.